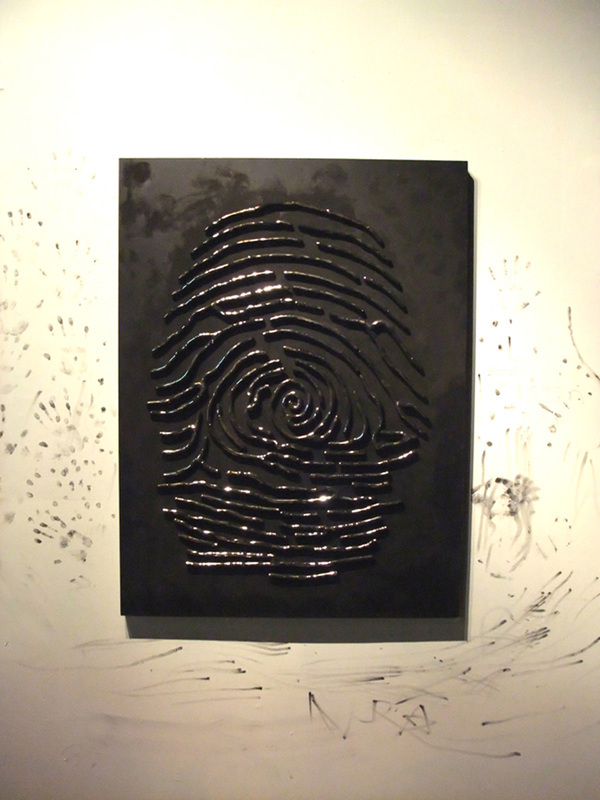 Touched, (first view), flameworked tubing that has been mirrored on the inside, mixed materials, and carbon, 38”h x 33”w x 2”d, 2010. Before the piece was installed on a white wall it was covered with carbon, completely hiding the mirror beneath. As people interacted with and touched the piece throughout the exhibition they would make marks on the glass through removing the carbon. As the carbon was removed the mirror was exposed. Many viewers also left their mark in the surrounding space with the carbon that was left on their hands. 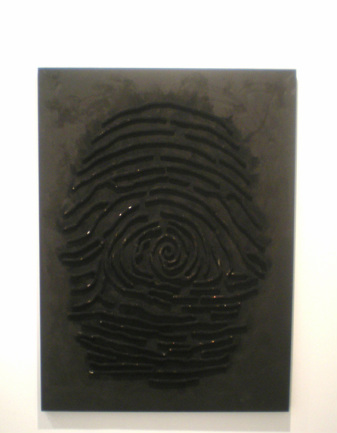 Touched (second view), the piece and surrounding wall after exhibition. Touched, 2010, time lapse video of the work displayed at exhibition.